If you are not careful, your garage can be the most dangerous place in your home. Many garages have chemicals such as oil, pesticides, petrol and paint laying close to a large, moving door. Flammable chemicals and moving parts can be a recipe for disaster if you aren’t careful. 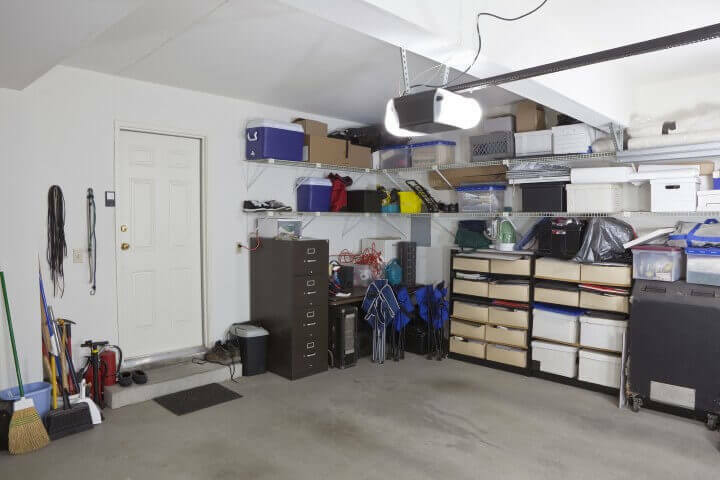 Courtesy of a company called Merlin, here are some tips for making your garage safe. Children like using little remotes to move big pieces of machinery such as a garage door. Under no circumstances should they ever be allowed to play with the garage door or the remote. They should never be allowed to play near the garage door and they should never be allowed to put their hands near any of the moving parts. Even the most stringent safety standards can’t be of much help if one child pushes the automatic garage door opener button while another has his fingers next to a gear or another moving part. A little bit of prevention goes a long way here. We know that chemicals are not only toxic, but many are flammable, thus causing both poison and fire hazards. It is a “no-brainer” to lock all chemicals away, but it is equally important to lock tools away, too. Tools are heavy and provide too much risk of blunt force trauma and cutting from sharp edges. Store chemicals in a locked storage cabinet and keep tools either locked away or high on pegboards where they can’t be reached by your children. Oil spills and sawdust are hazards for slipping. They are also combustible and make great fuel for a fire. Besides, your garage will look a lot better clean. Automatic safety reverse can save a child’s life. It is a mechanism for your garage door opener that reverses the motor when it meets resistance. This minimises the damage if your child gets caught in gears or other moving parts. It can also keep your child from being crushed by the door itself. When you are backing out of your garage, make sure that your child is not in the way. Check the entire area before starting your car. Back out slowly just to make sure. Also, don’t leave keys in any vehicle in the garage. Kids can easily turn the key and start a vehicle, but they don’t really know how to control the car. This can be a fatal combination. We covered flammable items earlier in this piece and recommended that they be locked away. But you also need to make sure that they are not near any heat sources such as fridges, battery chargers and heaters. Any fire needs fuel, heat and oxygen. Since your garage already has oxygen, you need to be careful with the fuel and the heat. Keep a Class 10B:E fire extinguisher in your garage, preferably close to an entry point. Why a Class 10B:E? Well, it’s because this type is a non-toxic, dry powder extinguisher that can put out fires from electricity or flammable liquids. Remember that a liquid extinguisher only helps to spread fires from flammable liquids and can get you electrocuted if you use it on an electrical fire. Smoke detectors can often produce “false positives” in a garage, so a heat detector is necessary as an alarm system. A heat detector can often be more effective than a smoke detector. Every second counts. No article on garage safety can be complete without recommending that you buy a garage that is ShedSafe certified. ShedSafe only certifies structures made out of safe and durable materials. In addition, the shed or garage must be matched to the terrain, location, climate and projected wind speed. Our garages all come with a 10-year structural warranty and a 15-year cladding warranty. We will gladly customise your garage for one or multiple vehicles and different sizes. We can install dividing walls to provide you with a garage and a workshop under one roof. You can also request windows, extra doors and insulation or ventilation to help you adjust the temperature on hot or cold days. We provide sliding doors and we also provide roller doors as high or wide as 5 metres. Contact our expert staff today for a free quote on a garage customised to fit your needs. Fill in the contact form or call 1300 778 628.